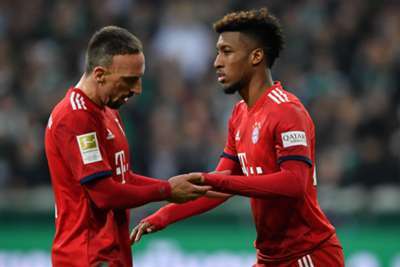 The former Paris Saint-Germain and Juventus winger featured in Bayern's two most recent league outings after over three months out with damaged ankle ligaments, a recurrence of an issue which saw him miss a similar amount of time towards the end of last season. His patience is starting to wear thin and another comparable injury could see him call it quits despite his young age. "It was a very difficult year," Coman told TF1. "When I hurt myself, it was the end of the world for me. "I hope I don't have to relive what I've been through, enough is enough. I will not accept a third operation – it will mean maybe my foot is not made for this level. "I will then lead another life, an anonymous life."